This Brunswick radio has a cabinet that is unusually small, with nice wood accents. 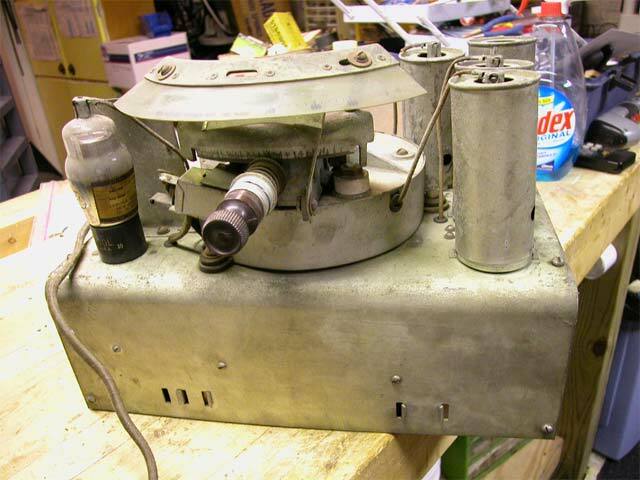 I wanted to restore it and get it into working condition. The chassis, as you can see, is built like a tank. 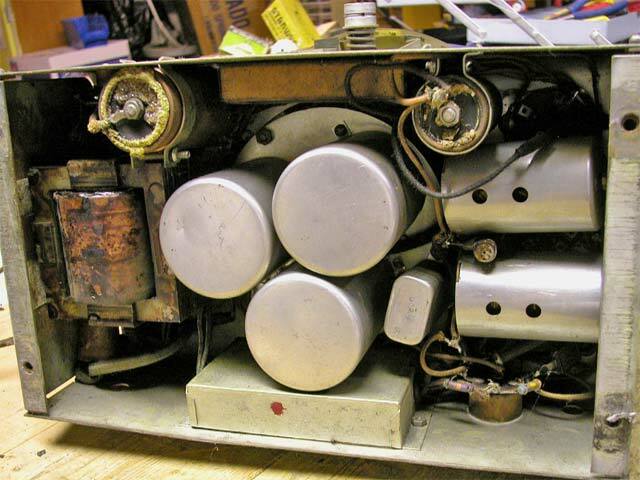 The tuning capacitor is contained in a turret-looking object in the center of the chassis. 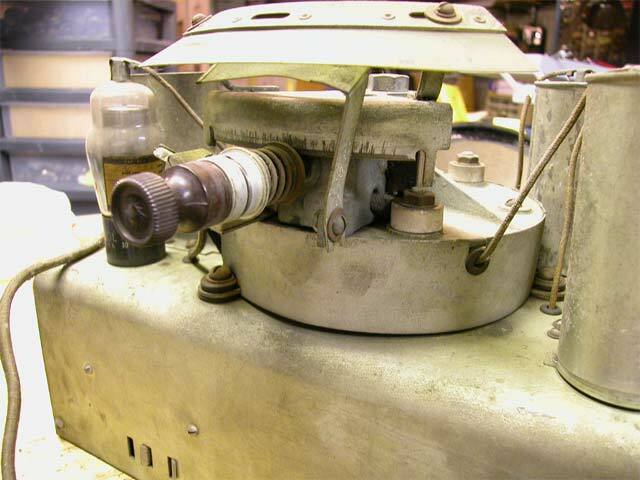 The dial, a piece of clear plastic with the numbers printed on it, is curved and bolted to the movable upper part of the turret. 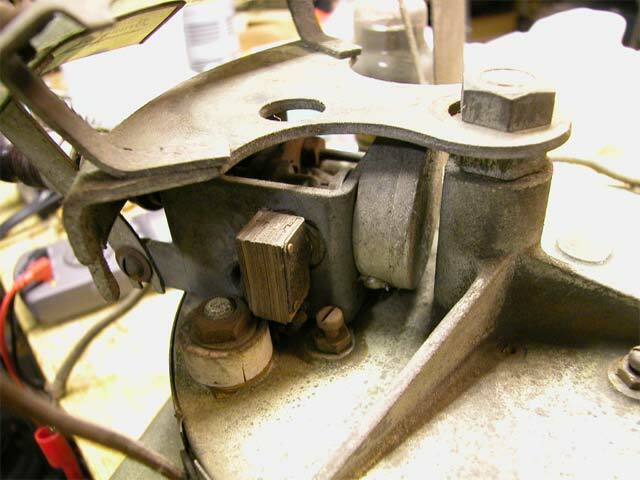 As the tuning knob is turned, the dial swings left or right. 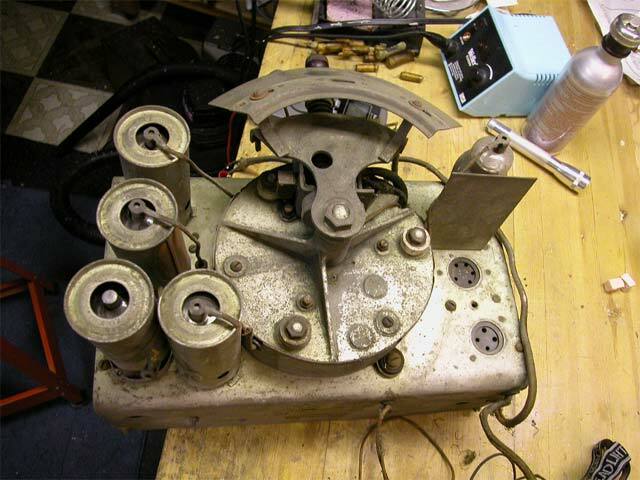 The tuning knob rotates the dial by means of friction caused by pressure applied by a spring on the tuning shaft. 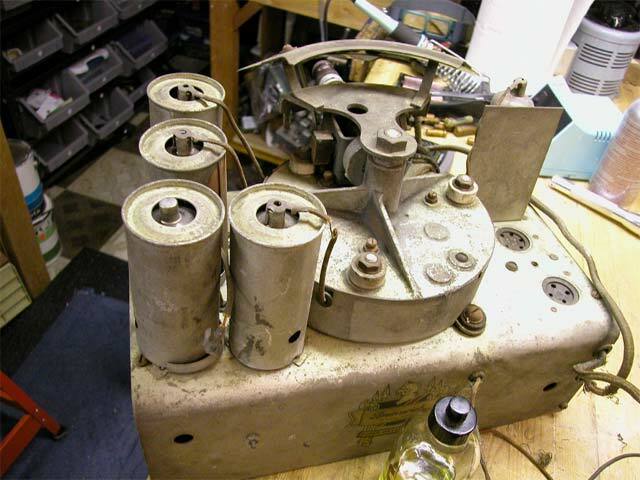 Porcelain insulators insulate the tuner from the chassis. These are cracked, but seem to be pretty solid yet. The object just above the insulator is the on/off switch. To the right of that is the circular volume control. 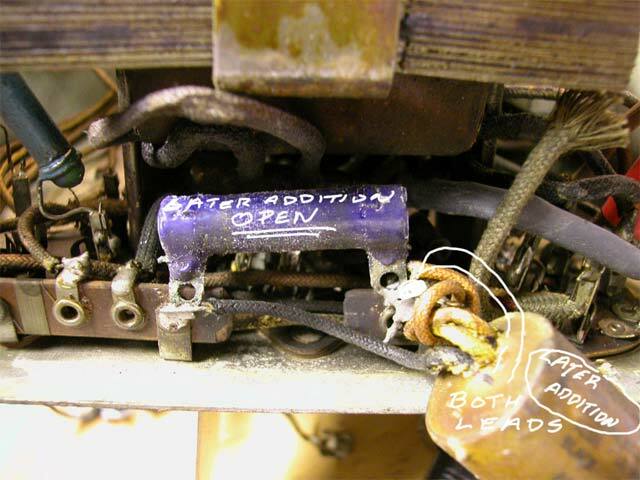 This particular radio had 2 bad filter capacitors attached to the side of the chassis. They are the ones with the foam around them. The 3 large cans in the center contain IF coils. The box at the bottom with the red dot is a replacement capacitor that was also dead. 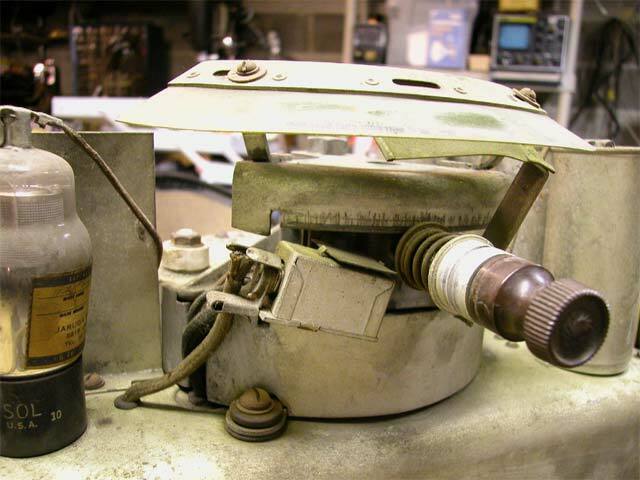 Another capacitor added at a later date as well as a large wire wound resistor to replace the burned out section of the terminal strip which originally had wire wrapped around it like the section on the left. Here's where I was puzzling out the wiring from the power transformer. Turns out there were 2 leads connected to terminals that didn't go anywhere. 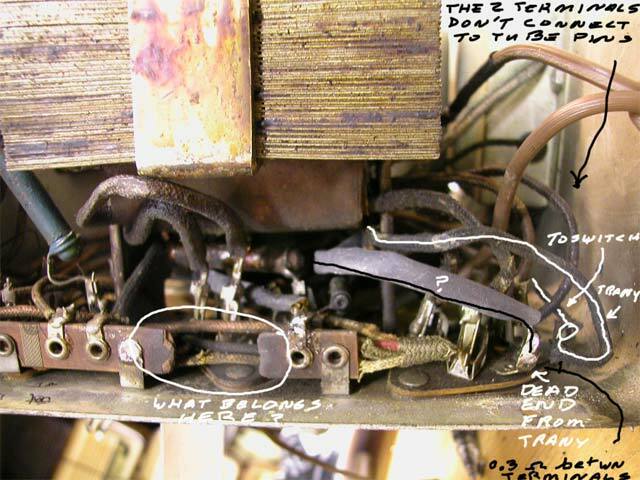 They were unused leads on the transformer that an installer soldered them to tube terminals just to keep them out of the way instead of cutting them or taping them off. I finally got all the capacitors replaced, some resistors, and figured out what was supposed to go where to put the radio back in working order. Unfortunately, there is still a problem with the oscillator and I can only get one station very weakly. After many hours of puzzling over the oscillator problem, I had to shelve it to keep my sanity. Everything seemed to be working properly, but still no strong signal. I'll add more to this tale when I dive into it again.